Many Augustinian congregations, both canons and friars, have traditionally celebrated October 11th as the feast of the Translation of the Relics of St Augustine. 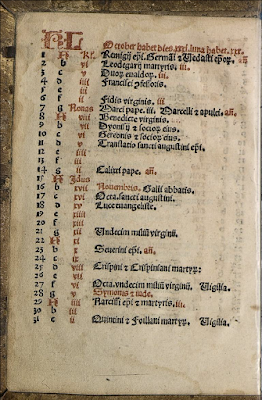 For centuries, the Premonstratensians even kept this feast with an octave, although this was suppressed after Pope St Pius X’s breviary reform. St Augustine died in August 28, 430 A.D., as the barbarian Vandals were besieging the city of Hippo, where he had ruled as bishop for thirty-five years. The Vandals were Arians who often persecuted the Catholics of north Africa, and about 50 years later, their king Huneric expelled many of the Catholic bishops from his territory. Several of them fled to Sardinia, bringing Augustine’s relics with them to Cagliari on the south of the island, its major port and largest city. By the early 8th century, the Saracens had seized control of several coastal cities of the western Mediterranean, including Cagliari, while subjecting many others to continual raids and plunder. The king of the Lombards in northern Italy, one Liutprand, was able to ransom the relics from them in 724, and bring them to his capital city of Pavia, about 21 miles south of Milan. Since that time, they have been kept in the romantically-named church of San Pietro in Ciel d’Oro, “St Peter in the Golden Heaven,” where Liutprand himself is also buried. From about 1360 to 1400, a monumental reliquary tomb for the Saint was made, of the type which is called an “arc.” (‘Arca’ in Italian; in the past we have shown similar arcs made for Ss Dominic and Peter Martyr.) It is attributed to a group of sculptors working under the brothers Matteo and Bonino da Campione, and Balduccio da Pisa. Originally kept in the sacristy, it was dismantled during the Napoleonic wars, and reassembled as the church’s altarpiece only in 1900. At four meters high, and covered with 90 statues, it is one of the most impressive monuments of late Gothic sculpture in Italy, with a remarkable richness of iconography. These photos were all taken by Nicola de’ Grandi. Inside the altar is a silver box made by Liutprand for the relics of St Augustine, which were moved to a reliquary in 1833. They are exposed for the veneration of the faithful twice a year, on his principal feast day, August 28th, and the feast of his Conversion, April 24. The lower register shows the virtues of Faith (with the upside-down cross of the church’s titular Saint, the Apostle Peter, and a chalice), Hope (looking up to heaven), Charity (with a baby) and Religion, (founded on a rock, another reference to Peter.) On the panels between them are paired Ss Peter and John, James the Lesser and Andrew, Thomas and Bartholomew, each holding a scroll with a few words of the Apostles’ Creed. 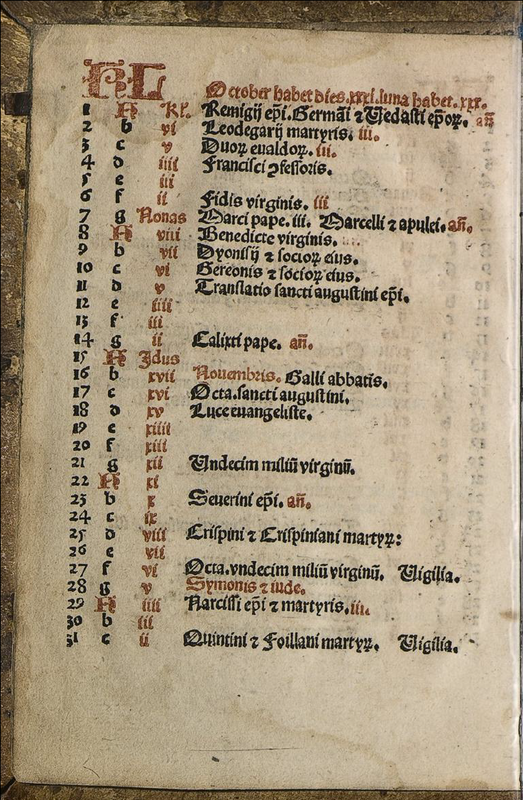 On the upper register are the episodes of St Augustine’s conversion: listening to the preaching of St Ambrose; the famous “Tolle, lege” episode; and the reading of St Paul’s words “Put ye on the Lord Jesus Christ, and make not provision for the flesh in its concupiscences.” (Romans 13, 14) In the triangles at top are shown various miracles of St Augustine. On the lower register of the left side are Chastity, Ss Stephen, Paul the Hermit and Lawrence, and Obedience (holding a copy of a religious rule.) In the center, St Ambrose and St Possidius, bishop of Calama, are seen from behind; the latter was indeed an eyewitness to St Augustine’s death, and later wrote a biography of him. The upper register depicts Augustine when he was a teacher of rhetoric at Milan. On the right side, the lower register depicts Meekness with a lamb, and the Evangelists Mark and Luke, with St Paul between them, and Poverty on the right. Above them, Ss Jerome and Gregory the Great (with a dove on his shoulder) are seen from behind. In the upper register, the panel on the right shows Liutprand bringing the relics from Sardinia, and then on the left, into Pavia. At the back of the arc, the four Philosophical Virtues are depicted: Prudence, with three faces; Justice with sword and scales; Temperance, carefully pouring water from one vessel to another without spilling it; and Fortitude in a lion skin; between them, the remaining Apostles in pairs. Above the funeral scene are the funeral of St Monica, Augustine reading his rule to his disciples, and Augustine as bishop, catechizing and then baptizing the faithful. In the left triangle, he is shown in prayer, and then in the middle disputing with three people who have the feet of chickens, a curious medieval device to indicate the heretics Arius, Donatus and Pelagius, whose errors St Augustine did so much to combat. Another view of the arc from the side. Some of the original Lombardic capitals of the church. The stone marking the tomb of Liutprand, who reigned as king of the Lombards, and hence much of northern Italy, from 712-744. The church of San Pietro in Ciel d’Oro houses the relics of another Saint, whose feast day is coming up later this month; pictures will be posted on the feast day.